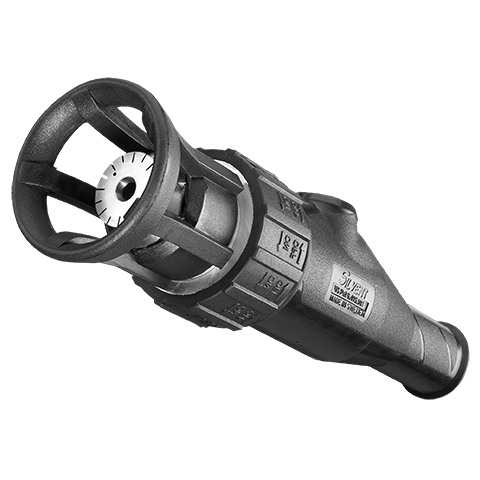 Our sales staff can help you with your order and technical support. 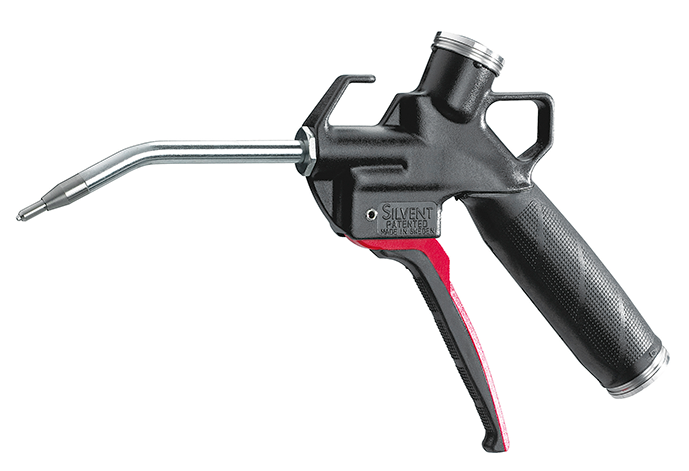 Open times are 7 am – 4 pm. 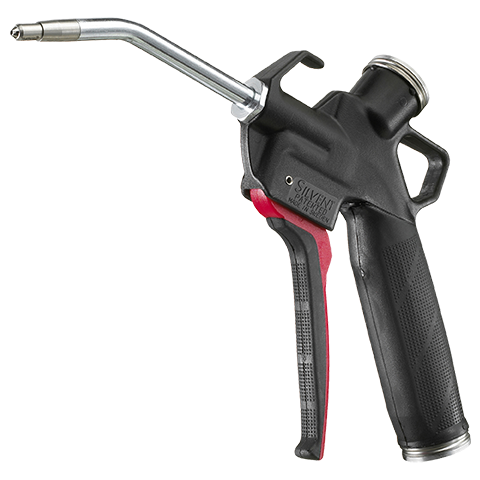 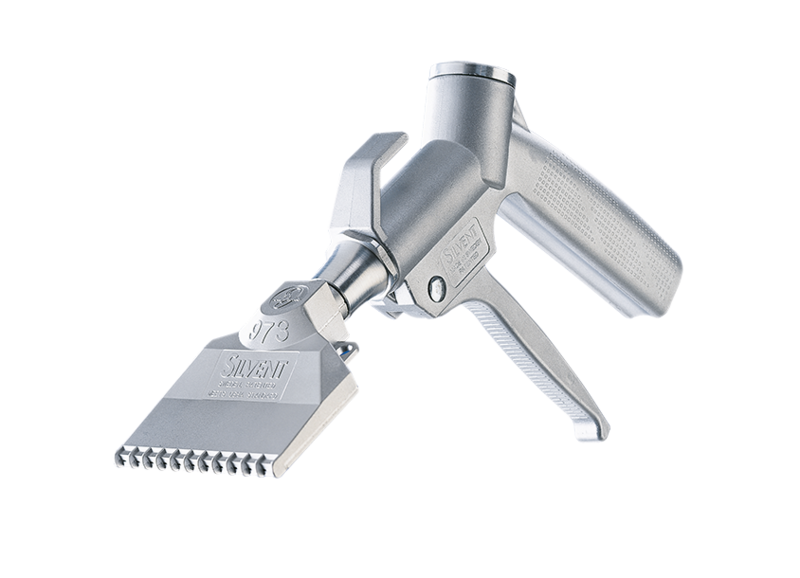 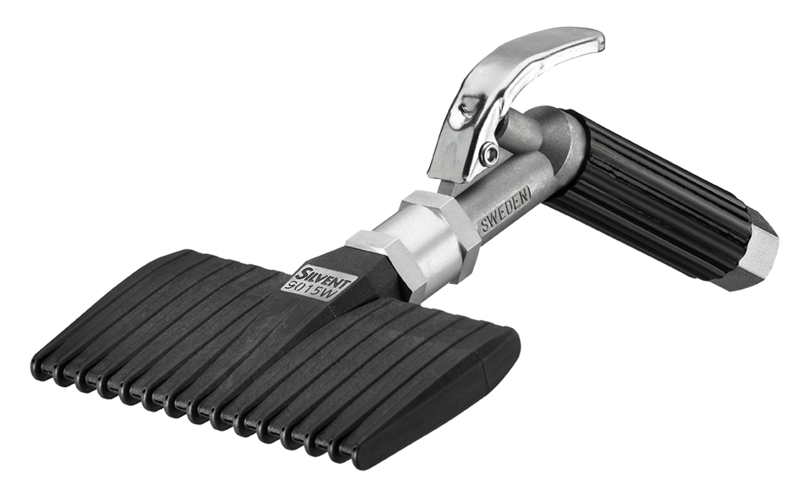 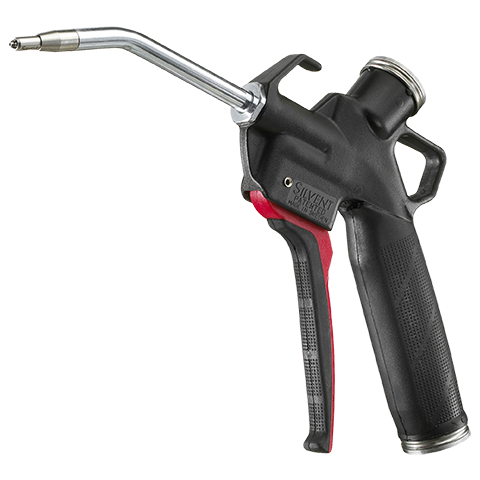 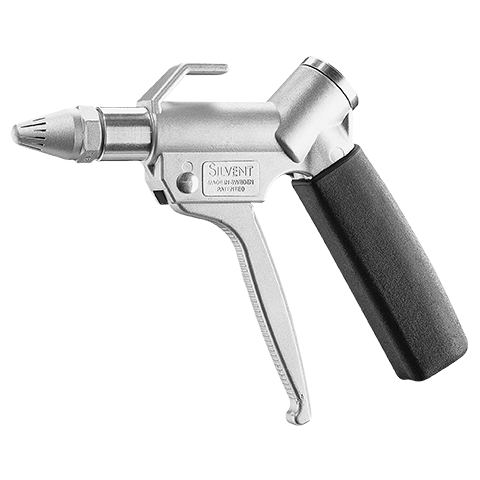 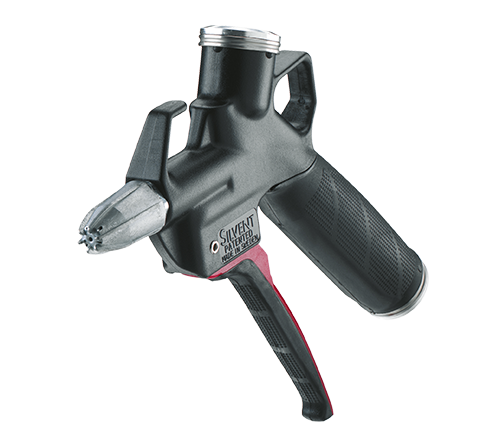 SILVENT 501-L-H: fitted with a new generation of zinc Laval nozzle. 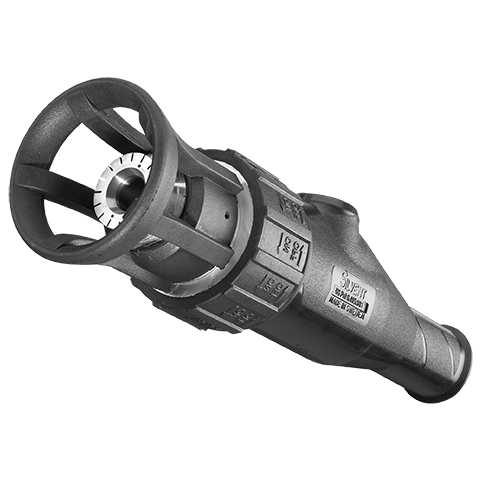 A mix of divergent slots and holes surround the central Laval orifice, providing quiet, powerful and laminar air flow. 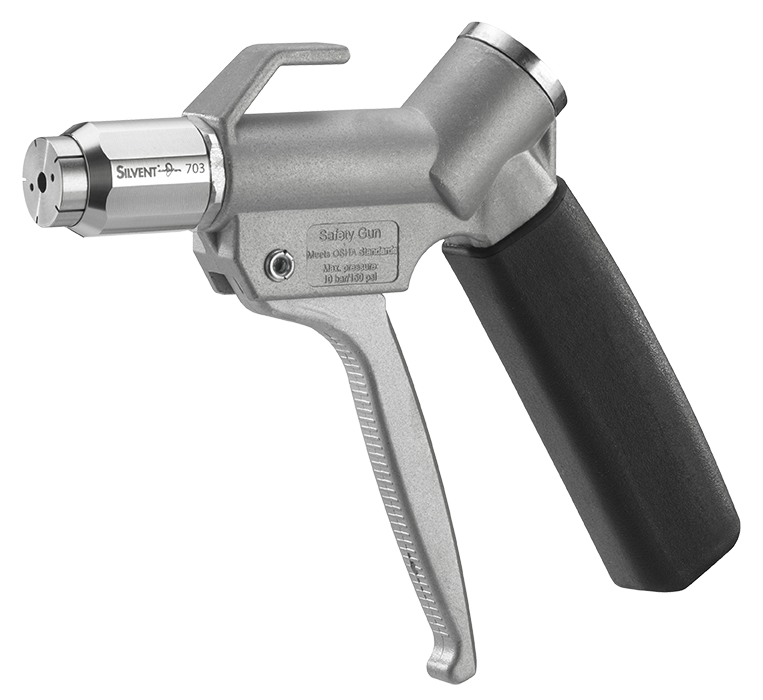 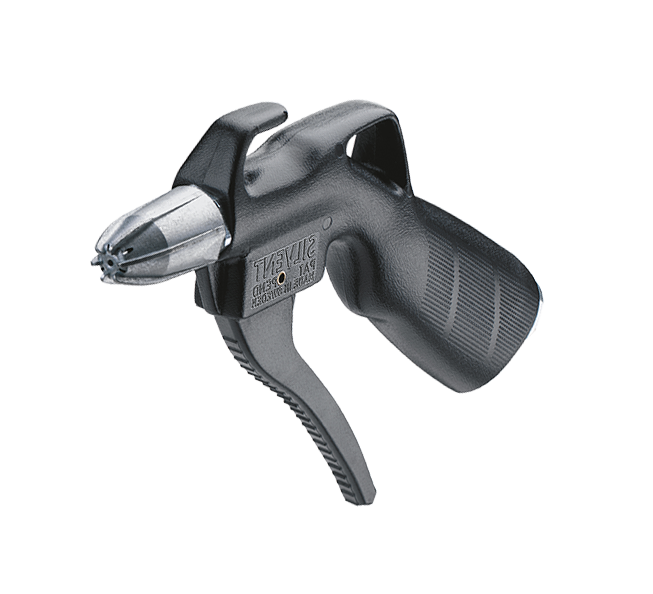 This safety air gun is especially suitable for sweeping large areas or general-purpose cleaning of parts and machines. 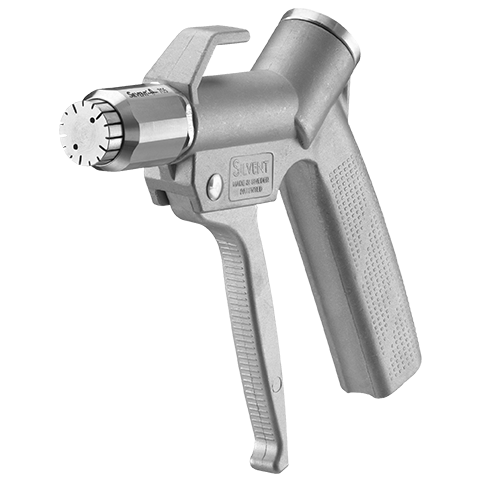 Also available with a short trigger (order number 501-L). 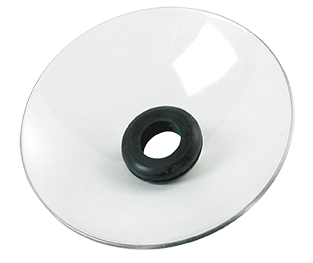 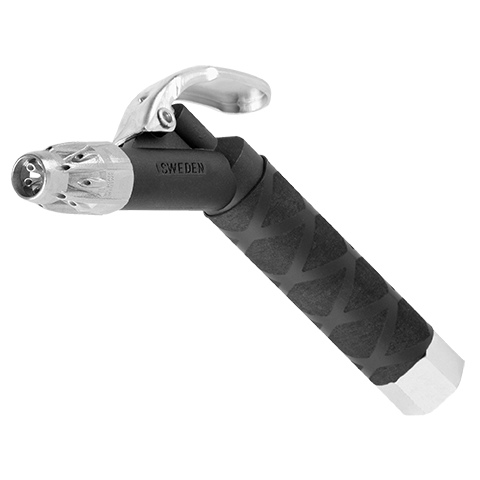 The fin design of the nozzle prevents direct contact with skin. 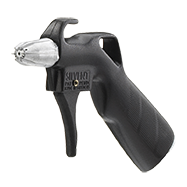 The combination of an ergonomic handle and a short trigger for one or two fingers provides a perfect grip as well as the possibility to aim the gun with precision and feeling. 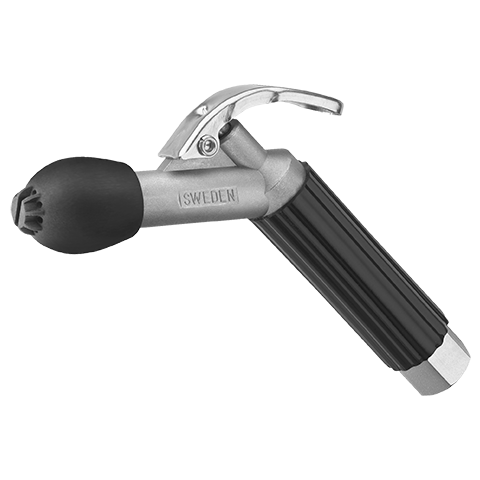 The ergonomic design of the handle automatically gives you the optimal blowing position so that you do not need to bend your wrist. 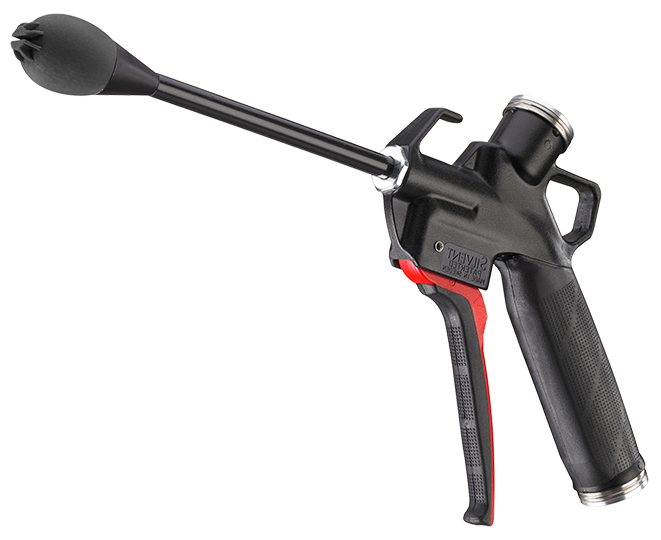 The trigger mechanism requires a pressure of only 7 N (25 oz), which means that the gun can be used frequently without the risk of taxing muscles. 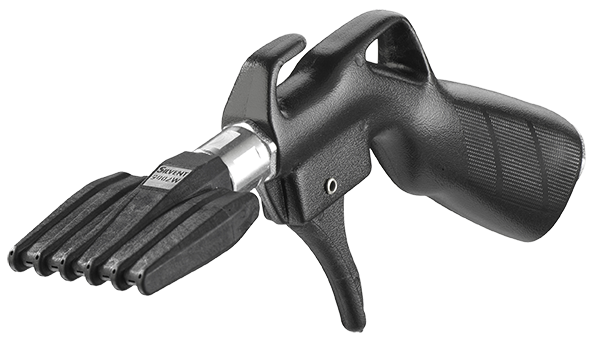 The average finger strength of men is 96 N (339 oz) and of women, 81 N (295 oz). 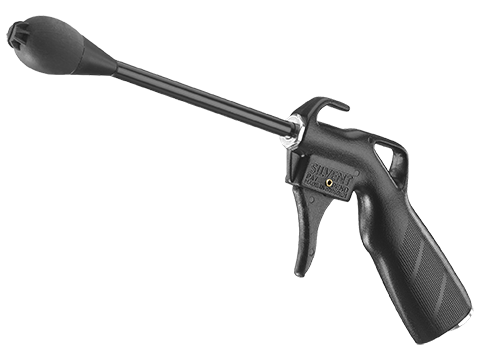 When less than 10% of the maximum strength of a finger is used, no injury arises due to muscle strain. 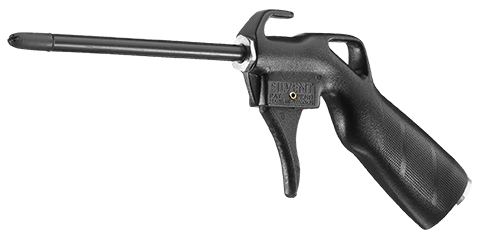 There are three alternatives for hanging the gun. 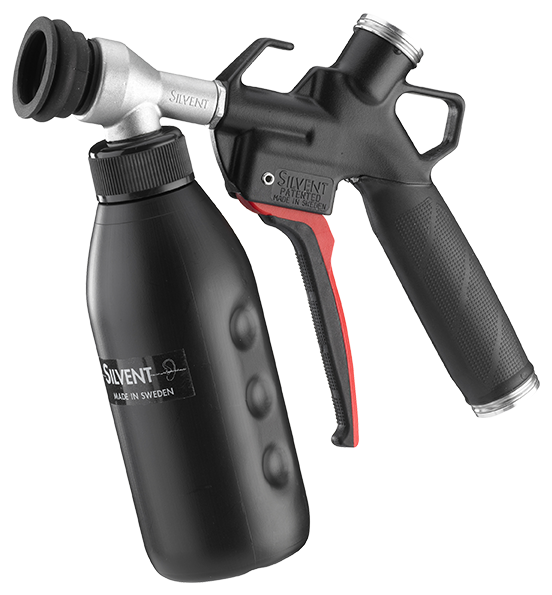 Silvent helps manufacturers with energy optimization and improved working environments. 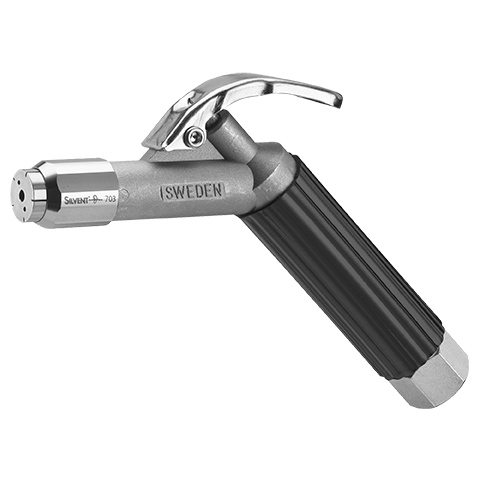 The headquarters is in Sweden where all research and development are done. 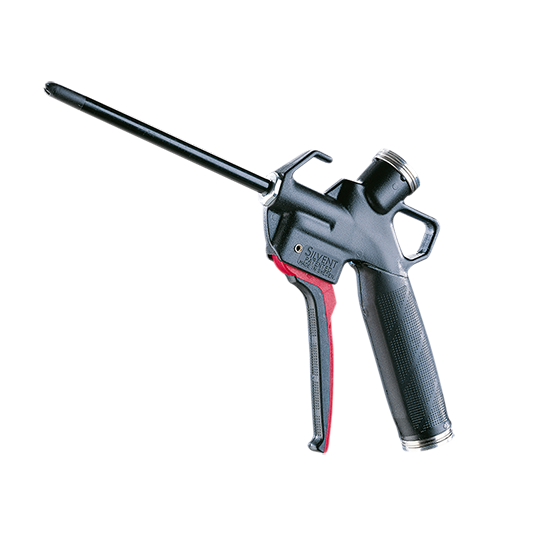 The company has unique expertise in the area of compressed air dynamics. 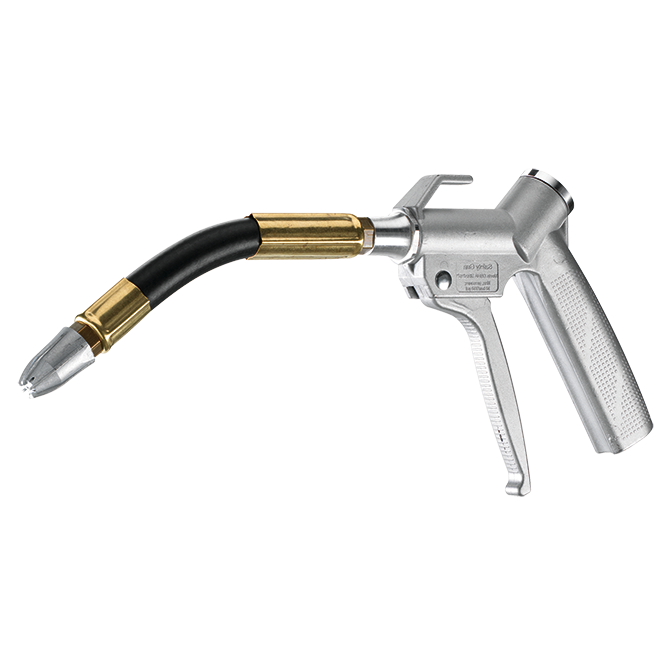 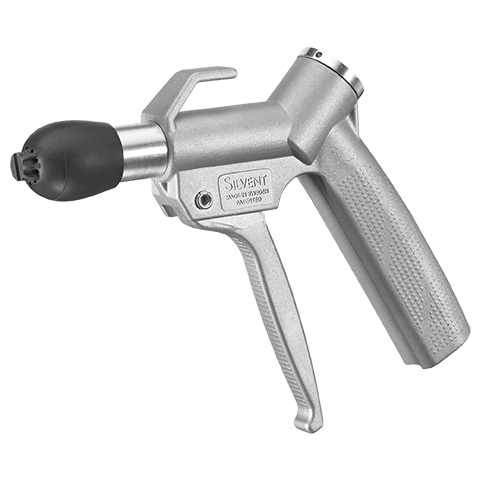 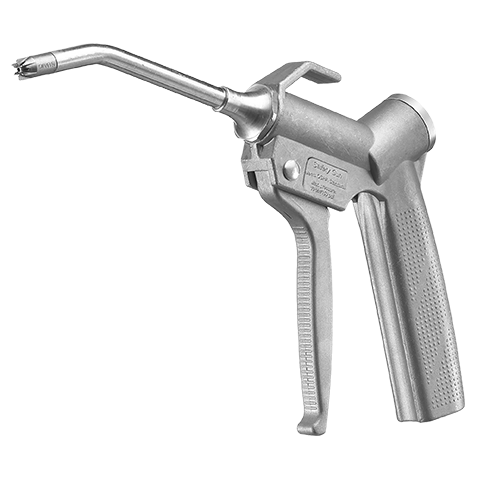 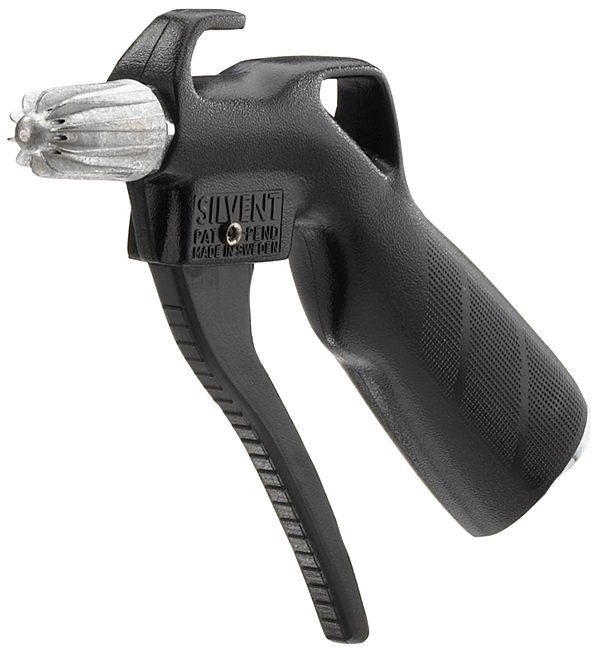 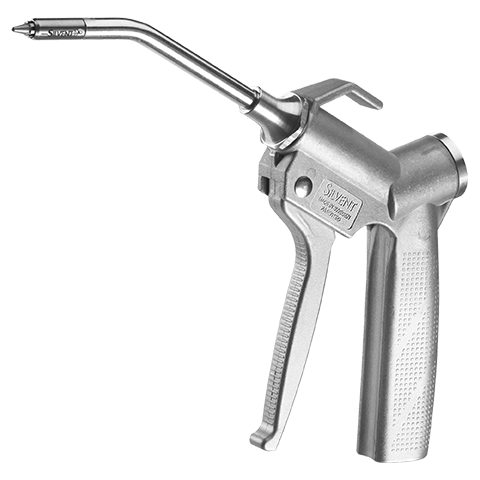 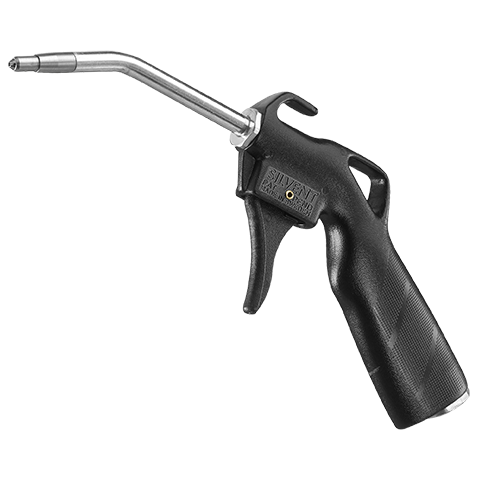 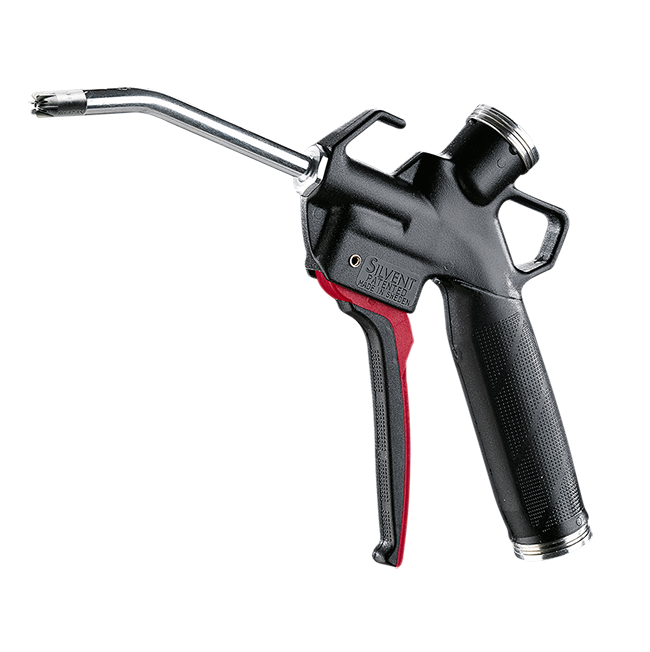 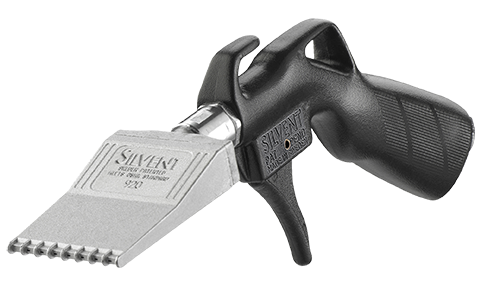 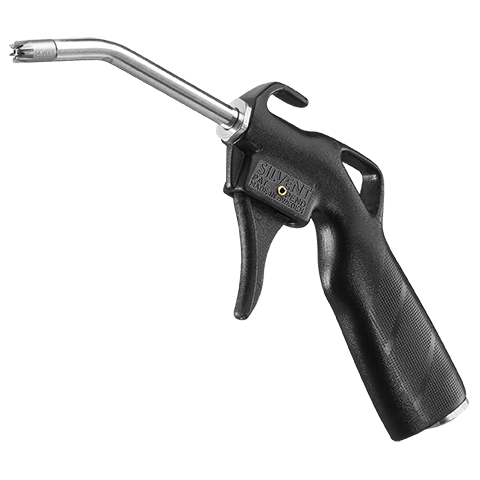 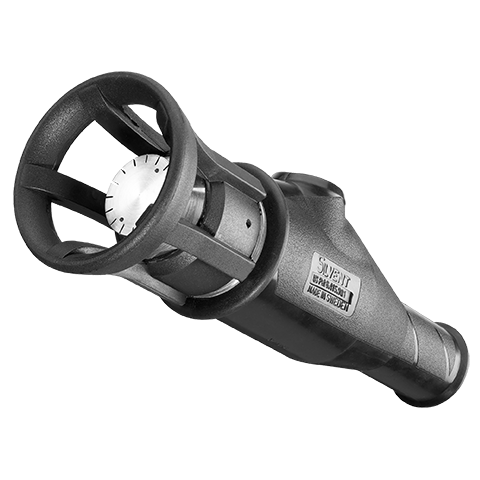 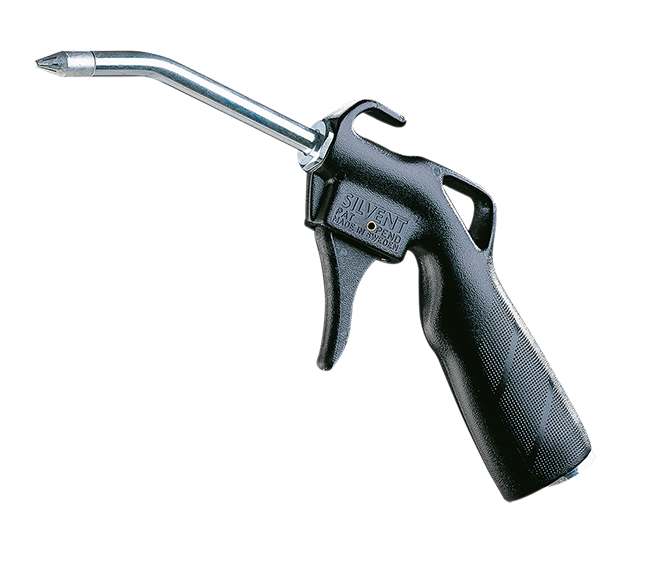 Silvent’s air guns, air knives, air nozzles, silencers and customized solutions for blowing with compressed air are used by leading manufacturers, in over 90 countries. 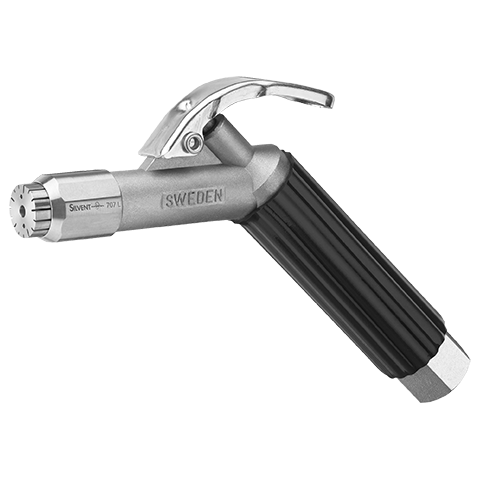 Silvent is part of Lifco Group that is listed on Nasdaq Stockholm.